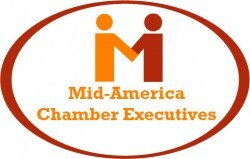 The Mid-America Chamber Executives (MACE) consists of all the state, regional, and local chambers of commerce within the six state region of Iowa, Minnesota, North Dakota, Nebraska, South Dakota and Wisconsin. Our annual conference is one of the biggest events of the year! For three days, hundreds of chamber executives focus on regional strategy, sharing best practices and innovative ideas. 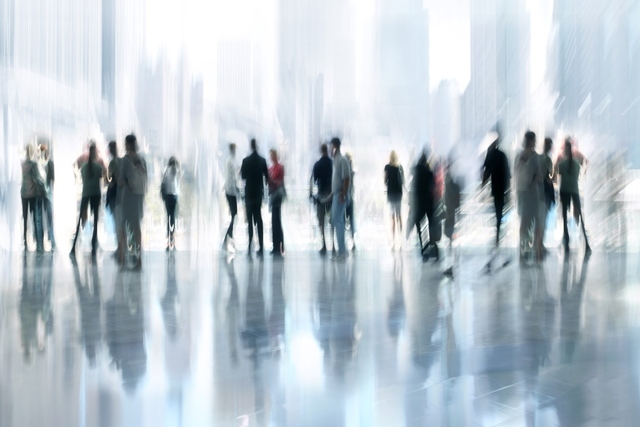 The annual conference offers participants education opportunities, high-level networking beyond their colleagues in their own states, and a chance to better understand the key policy, economic, and workforce issues affecting all the MACE region as a whole. 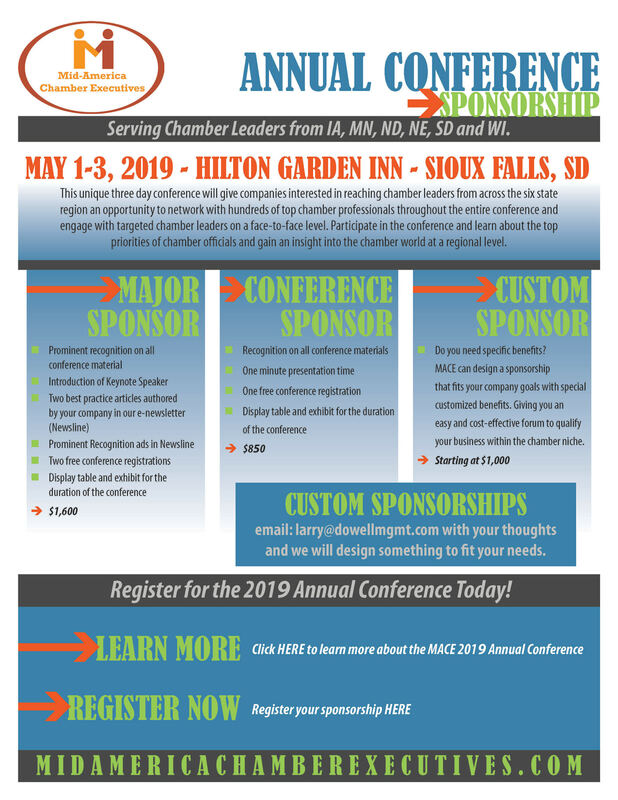 This sponsorship is a great way to network with hundreds of top chamber professionals throughout the entire conference and engage with targeted chamber leaders on a face-to-face level. Participate in the conference and learn about the top priorities of chamber officials across the six state region. Do you need specific benefits? MACE can design a sponsorship that fits your company goals with social media posts, presentation times, board engagement and special newsletter placement. Giving you and easy and cost-effective forum to qualify your business within the chamber niche. Email larry@dowellmgmt.com with your thoughts and we will design a specific sponsorship to fit your needs. Your involvement with the Annual Conference brings your company the ideal way to reach hundreds of targeted chamber leaders all in one place. Whether you are looking for an opportunity to meet and talk with decision makers or just want to establish your company as a leader within the region, there's an opportunity for you. Multiple levels of sponsorship allow you to support the MACE Annual Conference in the way that fits your budget and goals. Keep your brand front and center – stand out from the competition while you raise brand awareness and reinforce the preference for your company within the conference attendees mind. Guaranteed speaking opportunities, branding throughout event, participant registrations, listing as corporate sponsor, booth engagement, presentation time, logo placement and direct website link on conference webpages are all benefits presented within different levels. Choose the level that fits your company. Interested in sponsoring the MACE Conference?